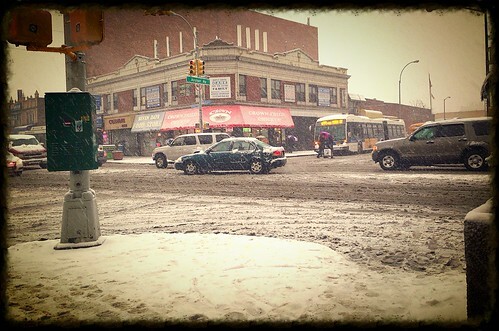 Sutphin Blvd/Archer Ave, Jamaica, Queens, New York. Your Photographer heading home from work... Early morning snowstorm. Picture taken on February 03, 2014.